Sleeps up to 35 in 17 bedrooms. 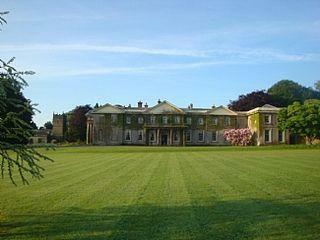 Buckland House is a Georgian country mansion perfect for family gatherings, parties and weddings. Friendly and relaxing with space to spread out or party in style. 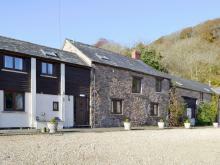 Set in 280 acres of private gardens and woodland in rural Devon it includes a lake with coarse fish and an outdoor unheated swimming pool. This magnificent Grade II Star mansion stands proudly in unspoilt rural countryside and offers splendid accommodation for families or groups of friends to gather together. 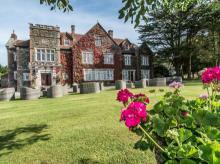 Rooms include two storey gallery ballroom, impressive staircase, Tudor sitting room and library. Many original features remain with decorative fireplaces and pillared porticos. 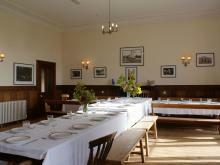 The house has a relaxed atmosphere and at once you will feel comfortable in your surroundings. There is a lake with rowing boat, and outdoor pool (25 yards, depth 3 feet to 8 feet). There are many walks through the estate woodlands and landscaped gardens.